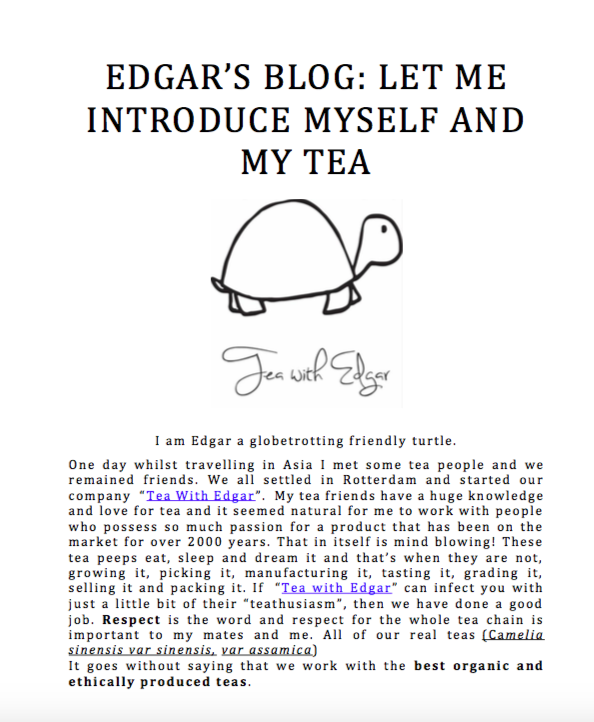 I am Edgar a globetrotting friendly turtle. When Tycho and Boris from “Rotterdam in a Box” approached us to see if we were interes ted in becoming part of their product range . We were thrilled! What an hono u r to be picked out to join the other quality products from Rotterdam. Rotterdam in a box is showcasing the innovation and creativity of young up and coming local companies . Just great considering the international potential of Rotterdam and the exposure this can create. Newer PostWinactie in de Oud Rotterdammer!